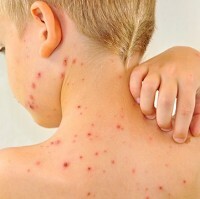 The Florida county of Alachua is dealing with the greatest number of chickenpox cases it has ever seen, with nearly 80 sufferers confirmed on Monday. Authorities are taking precautionary measures at Santa Fe High School, where some 140 students have not been immunised against the disease. Many of the county's students who have not yet received the vaccine have been asked to stay at home. The first case of chickenpox at Santa Fe High School was diagnosed on Monday - one of four new cases in the county. Health Department director Paul Myers announced that new vaccines will be offered to students immediately. Myers said: "Given that I only have one case, I have to weigh the public health implications with the educational needs of those students." He added that around 50 students at the school have been inoculated since the epidemic was reported. Visitors to the area are generally advised to take out medical travel insurance.